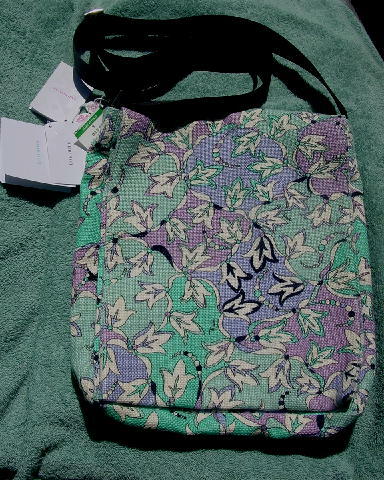 It has a woven textured rayon jute surface with a flower and leaf design in white, black, lavender, light turquoise, light baby blue, and light orchid with Emilio in black letters on the front, back, and inside on the full flap. 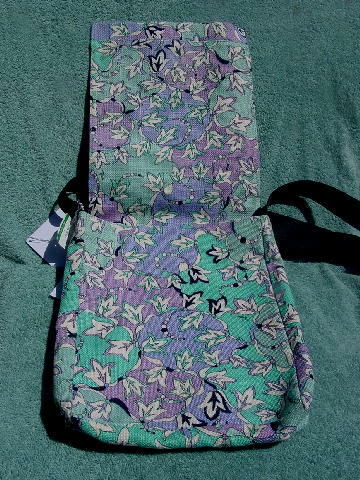 The interior lining is in a pale orchid color polyester fabric with what feels like a teflon coating. 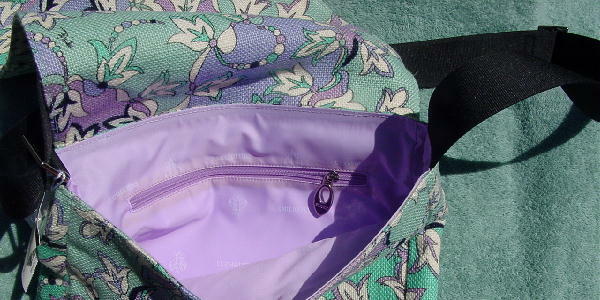 It has a large interior zippered pocket with a light rose-pink Emilio Pucci leather tag. The zipper has a silver-tone oval with a cutout design pull which has a dark purple colored front with Pucci in silver-tone letters. 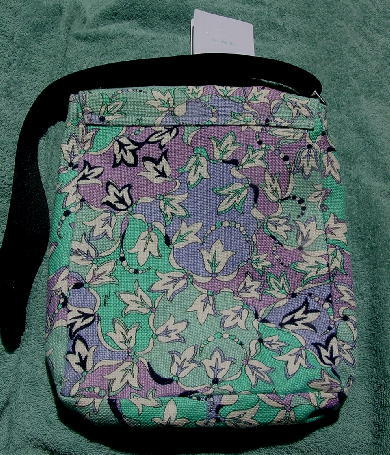 There is a black fabric adjustable shoulder strap. 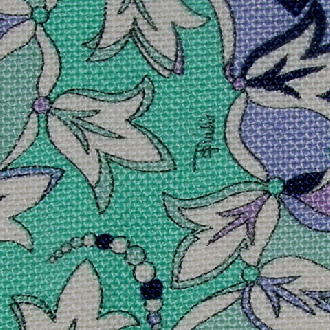 A model bought this one and the rose-pink and green one when she booked a multi-day photo shoot.